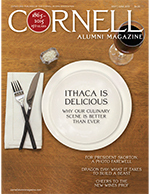 A farewell to President Skorton, building the Dragon, Ithaca’s food scene, traveling around the world. 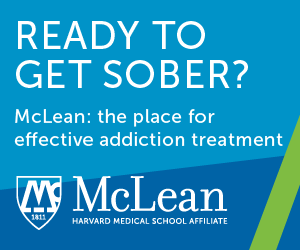 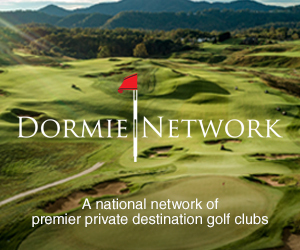 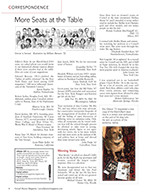 Download the PDF from our digital archive at the eCommons. 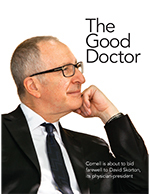 Cornell is about to bid farewell to David Skorton, its physician-president. 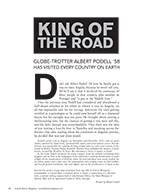 Globe-trotter Albert Podell ’58 has visited every country on Earth. 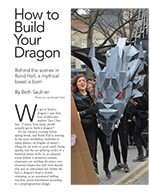 Behind the scenes in Rand Hall, a mythical beast is born. 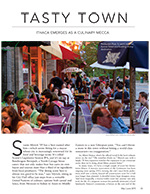 Back in 2008, the New York Times called Ithaca a “gastronomic oasis”—and things have only gotten better since. 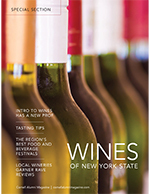 Our special section featuring the Wines of New York State. 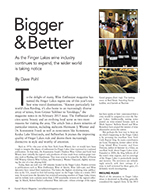 As the Finger Lakes wine industry continues to expand, the wider world is taking notice. 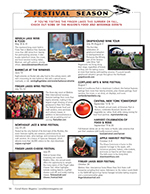 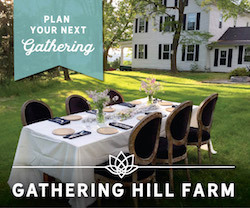 If you’re visiting the Finger Lakes this summer or fall, check out some of the region’s food and beverage events. 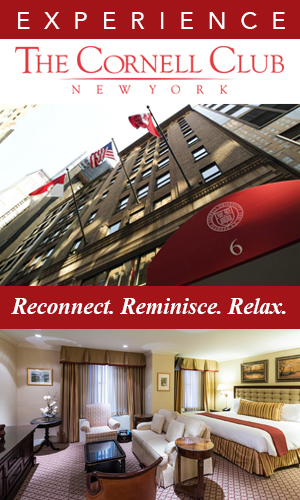 Once a TA, Cheryl Stanley ’00 takes over the Hotel school’s venerable Intro to Wines class. 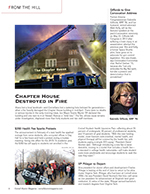 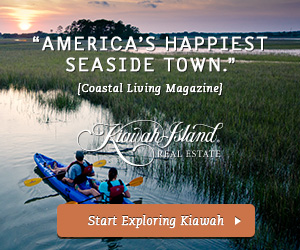 Sports updates, shorts and the winter scoreboard. 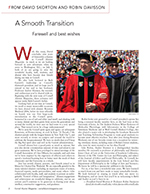 Farewell and best wishes from David Shorten and Robin Davisson. 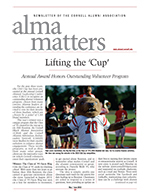 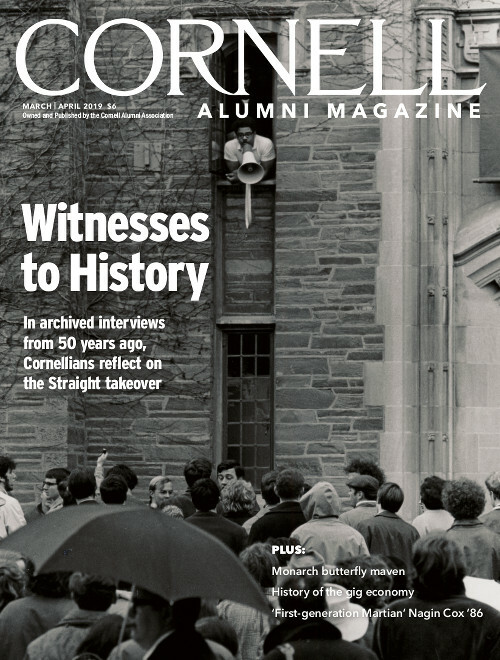 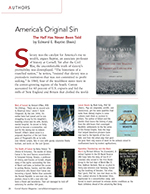 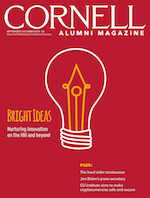 Letters to Cornell Alumni Magazine. 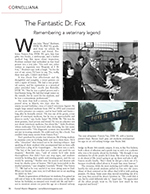 The Fantastic Dr. Fox: Remembering a veterinary legend. 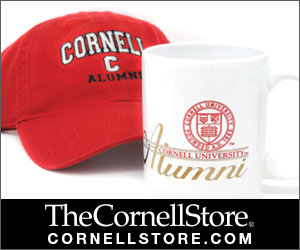 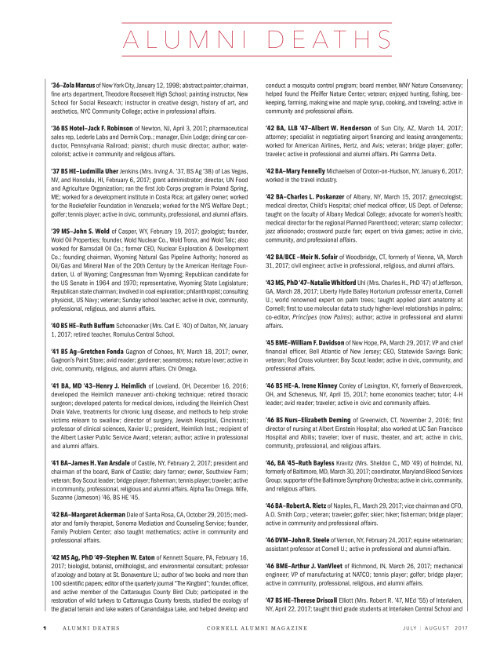 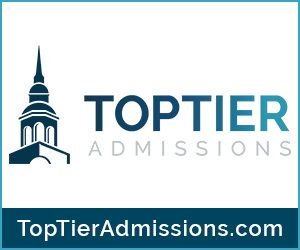 Click here to open the May/June alumni deaths. 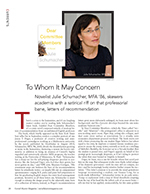 Novelist Julie Schumacher, MFA ’86, skewers academia with a satirical riff on that professorial bane, letters of recommendation. 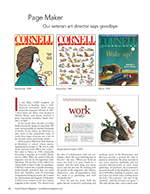 Our veteran art director says goodbye. 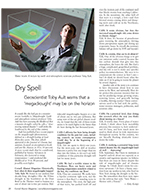 Geoscientist Toby Ault warns that a ‘megadrought’ may be on the horizon. 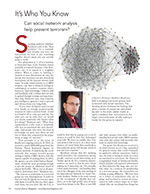 Can social network analysis help prevent terrorism? 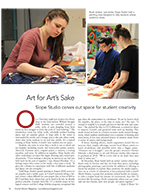 Slope Studio carves out space for student creativity. 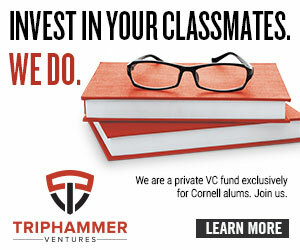 Program schools students in computer game design. 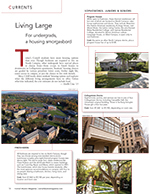 For undergrads, a housing smorgasbord.